If you are new to All Saints and are considering making us your spiritual home, please pick up a welcome brochure at the back of Church or better still, please say “hello” to one of our Welcomers. You can also contact our Church Office (admin@allsaints.ch) if you have any questions. You can also find tonnes of information about our Church on this website. We are looking for singers to be part of a choir to sing during the Celebration taking place on the 14th of July in Saint-Martin at 10 am. The service will start the different events of the Fête des Vignerons. Put the date in your diary! 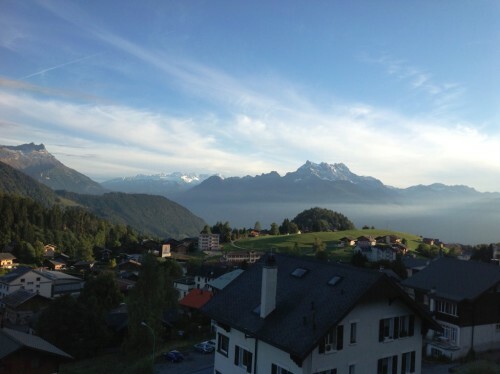 Our Church Weekend will take place from Friday 20th to Sunday 22nd September in the Classic Alpine Hotel in Leysin. Our speaker will be Pastor Malcolm Duncan. The Australia and New Zealand Consulates-General warmly invite you to attend the annual Anzac Day commemoration which will be held at the Commonwealth War Graves’ Cemetery at St. Martin’s Cemetery, Vevey, on Thursday, 25th APRIL 2019 at 11.00 A.M. Light refreshments will be served on the spot following the ceremony. Anzac Day in Australia and New Zealand is a very significant day and ceremonies of remembrance take place throughout the world to commemorate those men and women who fought and died in all wars. De Verkenner, Woutershof, Grootbroekstraat 46, 3640 Kinrooi (near Maaseik), Belgium. The EasyEnglish New Testament app is available free of charge and has already been downloaded in 150 countries around the world. The EasyEnglish Bible is a new version of scripture using a limited vocabulary of just 1200 words and simple syntax which was devised by a small team of MissionAssist volunteers. It is ideal for people who are learning English, or speak English as a foreign language. Find it here (www.easyenglish.bible). Inspiring young people (ages 3-11) throughout Switzerland to develop an interest in science through simple interactive experiments in the areas of chemistry, physics and biology. (For more information www.funscience.ch). During coffee time some of our younger members camp in the Youth Room and – how can we put it – rearrange the furniture in “creative ways”. Often this “creativity” means that those cleaning up on Monday mornings are faced with putting things back together again. We’d appreciate your help in ensuring that the Youth Room is kept tidy and ready for use by the next group.